This summer, why not go where the prices are unusually cheap and the dollar is unexpectedly strong? By weighing hotel rates and airfare prices alongside industry trends and local currencies, we’ve come up with six suggestions for fabulous and unquestionably budget-friendly vacations. The following destinations offer an appealing combination of low-season pricing, plenty of bargains, and awesome attractions for summer 2015. Since the biggest financial piece of your trip to Europe will likely be your flight, you'll save a ton by traveling to a destination with relatively lower ticket costs for those departing from the U.S. According to data from Hopper, Istanbul is one of the cheapest European cities to fly to this summer. One-way tickets from New York cost about $605. 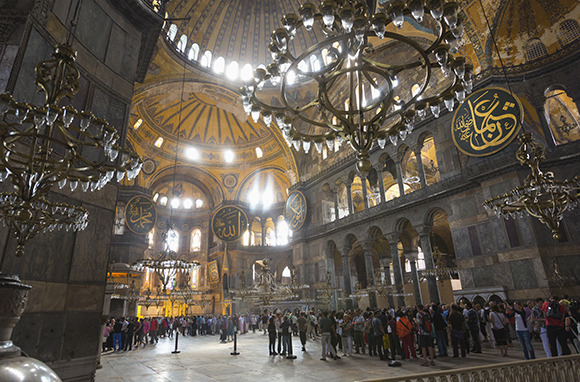 And our parent company TripAdvisor named Istanbul one of the 10 cheapest Europe flights to grab this summer, with an average roundtrip ticket price of $1,197. The steady expansion of Turkish Airlines is partly why flights to Istanbul are so affordable right now. 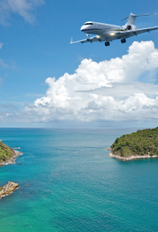 Turkish operates direct flights to Istanbul from 12 destinations in the Americas. This year so far, the airline has added new routes from San Francisco and Miami. We know, we know: New York seems out of place on this list of ultra-affordable destinations. But hear us out. You can, in fact, plan a New York vacation this summer for quite cheap—without having to bunk in a hostel or go dumpster diving. Just in time for summer, New York's tourism board is running a "Free in NYC" campaign in an attempt to lure budget travelers to the city. Check out the guide to learn about dozens of free activities and events around the city, from food festivals to outdoor yoga to a swing dance flash mob. 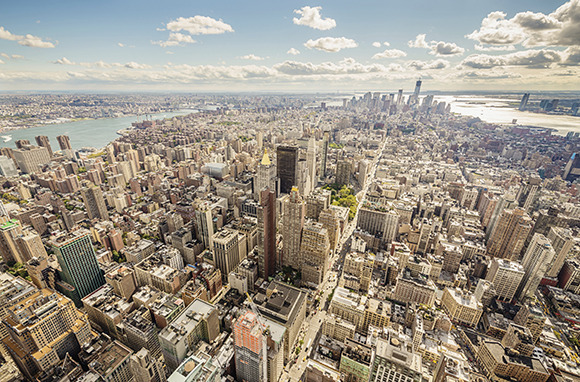 Though New York real estate seems to be getting more expensive by the minute, new and affordable hotels continue to open, and prices for accommodations are not rising as fast as you might expect. The New York Times reports that Big Apple hotel prices are staying low thanks in large part to a shadow inventory of rental properties listed on sites like Airbnb. Indeed, Airbnb is full of very cheap places to stay in New York, such as this $78 a night studio in Bushwick, Brooklyn; or this apartment for $125 a night on the Lower East Side. Hotels are keeping up with the competition. We're excited about new Manhattan hotel The Paul, set in the NoMad neighborhood, which has family-friendly rooms with bunk beds. Prices for accommodations for two guests during a weekend in July start at $209 nightly. Weekday rates, of course, are even cheaper. 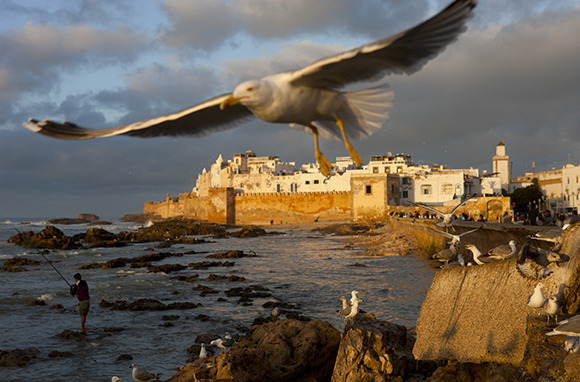 Essaouira is the UNESCO-recognized seaside resort town you can afford. It's cheaper than ever to get to the whitewashed Moroccan village thanks to new service from discount airline EasyJet. We found EasyJet flights from London (Luton) to Essaouira for as little as Â£31.49 (about $49), making this a very affordable escape to tack onto a summer Europe trip. Once you're there, you'll enjoy the kind of prices you only see in yet-to-be discovered blockbuster destinations. (Trust us: sleepy, laid-back Essaouira will be overrun by tourists soon enough.) Plus, since many of the merchants in Essaouira accept euros as payment (Morocco's currency is the dirham), U.S. travelers can take advantage of a very favorable exchange rate. A night in a traditional Moroccan riad (a type of guest house), Ryad Watier: about 85 euros, or $96. A night in Madada Mogador, a hotel overlooking the blue expanse of the Atlantic: $112. Times have been tough for Atlantic City, which is losing visitors to casino centers that opened in nearby states. Four Atlantic City casinos closed last year. But there's a silver lining for travelers: The city is pulling out all the stops to woo back travelers to its boardwalk and beaches. Although some casinos have closed, new attractions and lodging continue to crop up, including the Claridge Hotel with its in-house art gallery, and a new Gordon Ramsay restaurant at Caesars Atlantic City Hotel & Casino. And this summer, Atlantic City is positioning itself to be the "entertainment capital of the Jersey Shore," with two massive beachside concerts in the works for August. 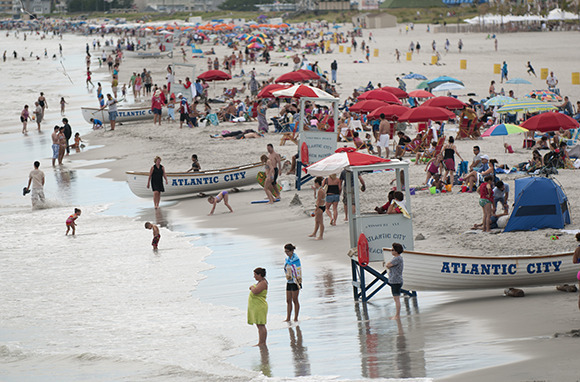 Making matters even better, Atlantic City can be an incredibly cheap destination, even during the high summer season—especially if you book a package or find a great deal. Through July 1, the Claridge is offering a Two Nights and Tour package for $327.95 that includes two nights' accommodations and a 90-minute city tour, valid on stays from Thursday through Sunday. And at the Chelsea Hotel, visitors who stay for two or more nights receive 15 percent off accommodations with a seven-day advance purchase. Time to take a summer road trip. Gas prices are more than 25 percent cheaper than last season, so now is the time to travel by car. Our suggestion: Take a drive along the spectacularly beautiful Pacific Coast Highway, stopping in scenic Big Sur along the way. 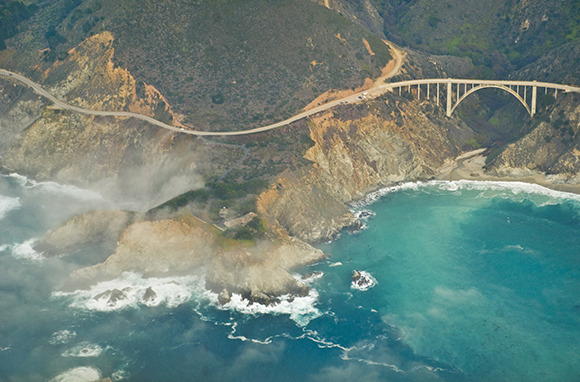 We love Big Sur (and its beautiful views) for budget travelers. While the destination has its share of over-the-top luxe properties, it also offers some stunning places to stay—right near the ocean—for next to nothing. Kirk Creek Campground is set on a high bluff overlooking the Pacific. All camping sites here have ocean views. Bring a tent and camp on some of the most beautiful land in the country for 25 bucks a night. If you require a roof, try the New Camaldoli Hermitage, a catholic monastery run by Benedictine monks, where private cottages by the sea start at $135 a night—including meals. Related: Hotels with the Best Views in the U.S.
Four years after a massive earthquake devastated Haiti, the enchanting city of Port au Prince continues to rebuild. Damage is still visible across the island, and Haitians continue to struggle with the effects of natural disaster and political instability. But Haiti remains a destination unlike any other island in the Caribbean, with rich history, a strong African culture, an exceptional arts and music scene, and breathtaking beaches. Although the number of visitors to Haiti has increased this year, this less-traveled Caribbean island still feels firmly off the beaten path. As far as affordability goes, Haiti's your island; this is especially true in summer, when fewer tourists will be heading to the Caribbean. 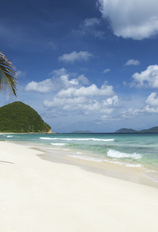 We found round-trip flights from New York to Port au Prince in July and August for as little as $167 via Delta. Accommodations in Hotel Oloffson, a turn-of-the-century mansion turned hotel, cost $100 nightly. Go even cheaper at the Seven Stars Hotel, where nightly rates will run you as little as 72 bucks. 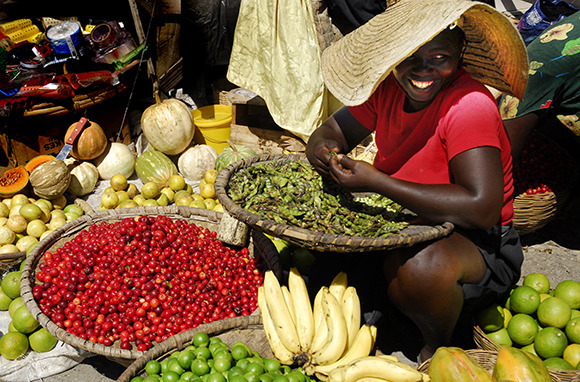 Is it safe to travel to Haiti? The U.S. State department says yes, for the most part, but advises travelers to exercise caution. Read more here.